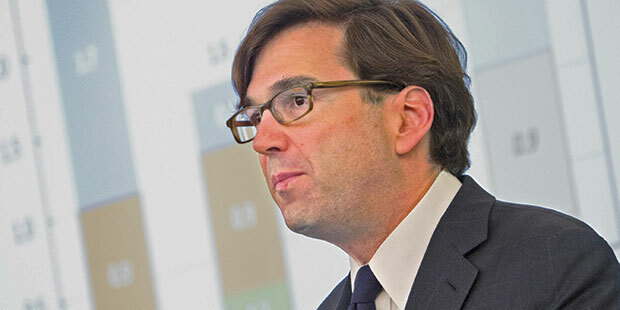 Mere minutes before Jason Furman, chairman of the White House Council of Economic Advisors, took the lectern at NYU Law last fall, the Treasury Department unveiled new efforts to curb so-called tax inversions. The announcement highlighted an increasingly common—and increasingly controversial—process by which an American company merges with a foreign corporation in order to move its domicile overseas and reduce the tax bill it owes Uncle Sam. “The timing is merely a coincidence,” Furman told the assembled crowd of law students, professors, tax practitioners, and journalists. Those hoping Furman would reveal details of the much-anticipated Treasury regulations left disappointed. Those hoping to hear the man the Washington Post called “the wonkiest wonk in the White House” deliver a thoughtful and thorough speech on the challenges and opportunities of business tax reform, however, found much to appreciate. Furman began by situating business tax reform within the broader context of economic growth. Revenue-neutral business tax reform may not increase the quantity of investment in the economy, he explained, but it can enhance the quality of investment, which is more important. Quality of investment, as defined by what economists call “total factor productivity,” is the “real source of variations in growth rates over longer periods,” Furman argued. Though Furman is not a lawyer by training—he earned a doctorate in economics from Harvard—he’s no stranger to the NYU Law community. Nearly a decade ago, he co-taught the Tax Policy Colloquium with Wayne Perry Professor of Taxation Daniel Shaviro, and his late father, Jay Furman ’71, was a trustee and donor. The driving force behind the event, however, was Professor David Kamin ’09. Kamin twice worked for Furman, first at the Center on Budget and Policy Priorities, a progressive think tank, and later at the White House National Economic Council.